For the diehards it seems so far, for the casual fan its just a few weeks away. For the Knicks, it has been an offseason with a large sense of relief as they were able to bring back superstar forward Carmelo Anthony. Last season could of easily been the most disappointing year that many fans have witnessed in recent memory. A team that finishes shy of making the playoffs with a player like Carmelo Anthony is simply hard to believe. Somehow for this upcoming season, the Knicks fans around New York are expecting a season similar to 2012-13 when they won the Atlantic Division and beat the Boston Celtics in the first round and lost to the Pacers in the 2nd round of the playoffs. My question to you, Knick fans, is why should a team coming off of a 37-45 season, that has a rookie head coach in Derek Fisher, and didn’t do much to improve in the offseason have a higher expectation? Acquisitions like Quincy Acy, Samuel Dalembert, Jose Calderon, and Jason Smith adds more depth, yes. The addition of draft picks in Cleanthony Early and Thanasis Antetokounmpo is great too. But, I still can’t really see the team having much success. The Knicks lost Tyson Chandler, Jeremy Tyler and Shannon Brown, and the team definitely improved. They didn’t improve like some other teams did, but I also consider a healthy Amar’e Stoudemire, and Andrea Bargnani improvement in the front-court as well. The improvement is not by much though. In due time, I believe that having Derek Fisher as head coach will work out eventually, but a lack of experience may hurt his chances this season. On to prediction time. My Knicks season prediction is a bad start, ending in a good finish that will propel them into the playoffs. 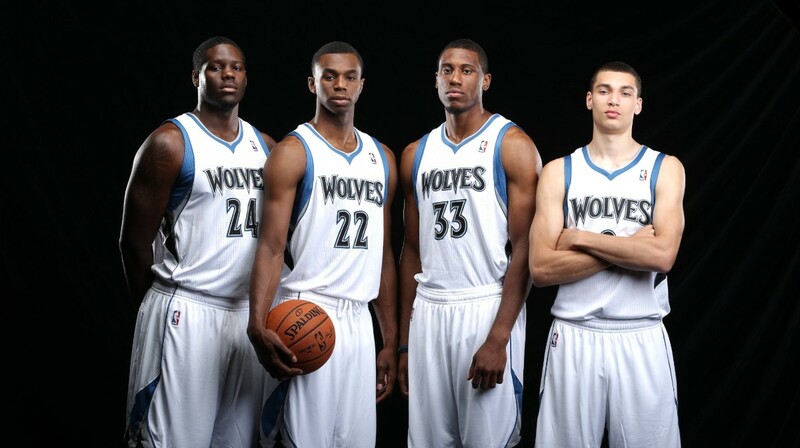 I think they’ll have the opposite record as last season and go 45-37, reaching the sixth spot in the East. They’ll give my predicted three seeded Washington Wizards a run for their money, but not quite good enough and fall in seven games. For those of Knicks Nation, good luck in 2015. Ladies and Gentlemen, the Kingdom is restored. 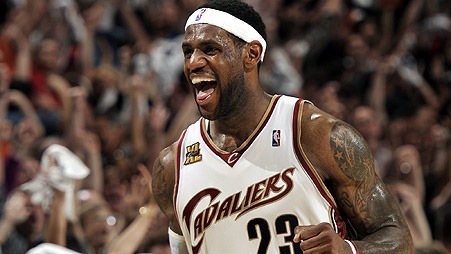 LeBron James has agreed to rejoin the Cleveland Cavaliers. The move was made official on Lebron James’ Instagram today. The Akron native LeBron has some unfinished business to take care of, as he never won a title with Cleveland in the seven seasons that he was there. 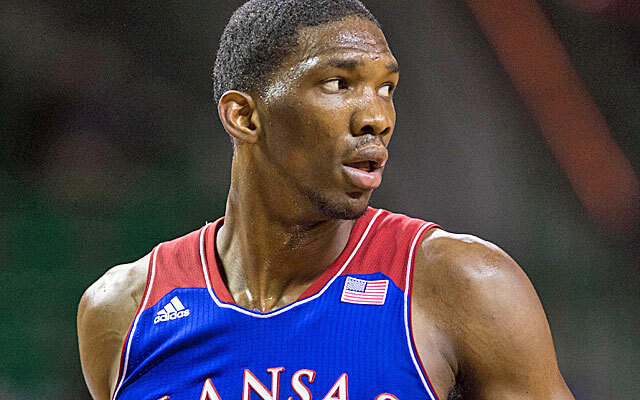 He will team up with a championship caliber lineup that includes Kyrie Irving and Andrew Wiggins. It should be interesting to see how the fans treat LeBron. The way he turned on the Cavs four years ago will not be easily forgotten by the fans. But I still believe that they’ll welcome him back with open arms. All in all, the Cavs are back. And they’ll be better than they ever were. LeBron is back in Cleveland and will try to finish what he started. 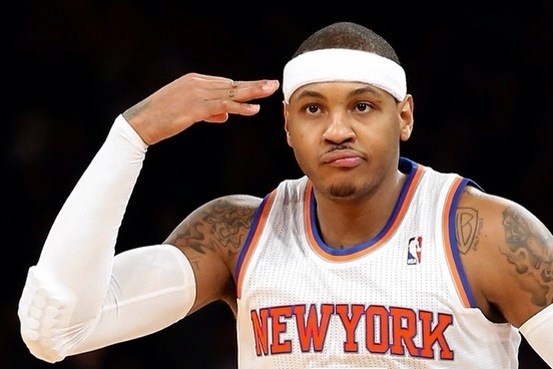 Carmelo Anthony has announced on thisismelo.com that he has re-signed with the New York Knicks. The 30 year old chose New York over Houston, Chicago and Los Angeles. Let’s get this straight, the news comes as a huge blow to Chicago and a huge sigh of relief in New York. Knicks president Phil Jackson pushed hard to retain Anthony, and keep him away from his other options. Phil needed Carmelo and honestly, Carmelo needed Phil. The Knicks were Melo’s best option for teaming up next season with a big name free agent. Speaking of free agents, Melo was spotted with Kevin Love and Kevin Durant at UCLA a few days ago. Love and Durant will be free agents in 2015 and 2016, respectfully. You can bet that Carmelo was in their ear about a possible change of scenery for them. With an attractive option like the Big Apple, Phil will continue to recruit into the future but for now, Knicks fans can rejoice. Their top dog is on his way back. Reports surfaced last night that Carmelo Anthony has informed the New York Knicks that he will opt out of the final year of his contract and become an unrestricted free agent. This morning it became a reality. Melo’s agent Leon Rose announced this morning that Anthony will become an unrestricted free agent this July. 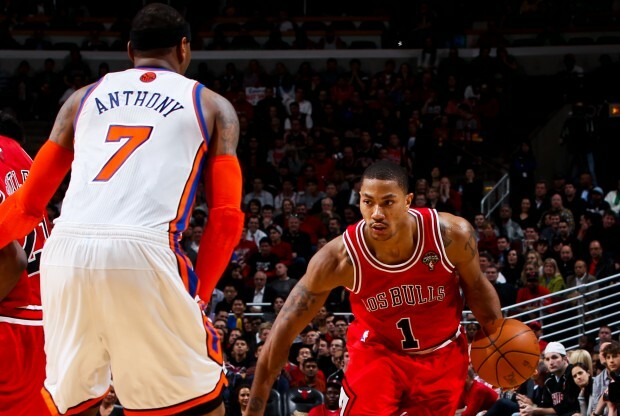 “Carmelo loves being a Knick, he loves the city and he loves the fans,” Rose said. “At this stage of his career, he just wants to explore his options.” The Knicks have recently communicated to Anthony their desire for him to opt in to his final year of his contract. Since his introductory press conference, Knicks President Phil Jackson has privately and publicly expressed interest in keeping Carmelo Anthony, and newly hired coach Derek Fisher has said the same of their top player. But Anthony didn’t listen and come July 1st, he could be on his way out of the Big Apple and on his way to the Windy City. That’s right, the Chicago Bulls. 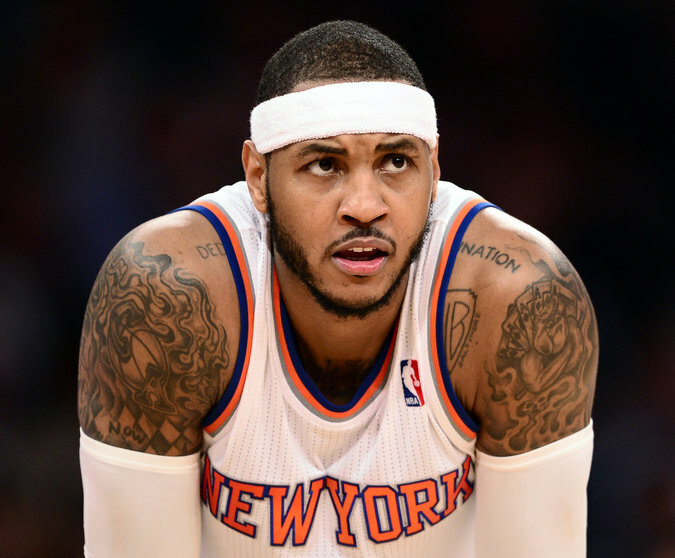 The idea of playing with Joakim Noah and Derrick Rose is a dreamland for Carmelo. Melo recently said, “The most important thing right now is winning.” Sound familiar? Sounds to me like the man who left his hometown to take his talents to South Beach. It was reported yesterday that Carmelo was already researching places to live in and around the Chicago area. If I’m the Knicks, I’m worried but not panicked. Who’s going to lead the team next year if Melo bolts? You’re telling me that Iman Shumpert, Tyson Chandler, and Tim Hardaway Jr. going to lead the Knicks to the playoffs? No way! As of this morning there are rumblings that Jackson may flip Shumpert for a late first round pick in Thursday’s draft. But there’s no room for panicking. In fact, with Carmelo gone, the Knicks will have a lot of cap room come 2015 and you can bet they’ll be knocking on Kevin Love and Rajon Rondo’s doors. Then of course there’s the Knicks fan’s ultimate fantasy of Kevin Durant dropping the only team he’s ever played for to go to the bright lights of Broadway in 2016. The recent Knicks hire of his good friend Derek Fisher has added some spark to that rumor, but who knows if Fisher will even still be coaching the Knicks in 2016. As a Syracuse basketball fan, Carmelo has been my favorite NBA player and I’ll be sad to see him go. However, the move will allow Phil Jackson to start fresh with a team that’ll struggle this upcoming season (of course not having any draft picks won’t help), and a boatload of cap room in the next few seasons. So as a Knicks fan, if Chicago is what Melo really wants, all I can say is good riddance. The Zen Master was then introduced to the Garden crowd during their game on Wednesday against the Indiana Pacers, where he received a standing ovation.